Get expert advice, make the home loan process easy and get a competitive rate on your home loan. Contact your local Loan Market broker Phil Rogers today to secure this exclusive offer. Why use a Loan Market mortgage broker? We look at what different lenders can offer you and research 1,000's of products and exclusive offers. We get paid by the successful lender you choose, so you won’t need to spend a cent. We’re based in Surfers Paradise, Townsville and North Queensland. We will meet or call you whenever it suits you. We have the right experience and put our customers at the forefront of everything we do. Your team, your competitive edge. Combined with both the knowledge and experience we have as a team, you can be rest assured you’re receiving the highest quality service. Our team shares the common goals and understanding, that we offer good old fashioned service. Our focus is to take the stress out of what can seem like an overwhelming process. You won’t deal with a bunch of people, just a small tight knit team who will keep you updated every step of the way. Our team has access to over 35 different banks and specialty lenders. Want to do some of your own research? Compare over 6000 loans we have access to now. Callan and I would like to sincerely thank Phil Rogers for the impeccable service he provided us in purchasing our first home. Callan and I found Phil easy to work with, timely and polite. We were extremely satisfied with his professionalism and felt he went above and beyond requirements in the service he provided. His extensive knowledge of mortgage products and contacts in Townsville is a credit to him as a professional. For these reasons we would highly recommend Phil to anyone for all their mortgage needs. Phil and the team at Loan Market are true professionals and we have no hesitation in recommending their services. 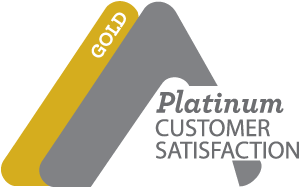 Our Mortgage and settlement experience was completed with no delays or stress. Thank you again for your excellent service. Let us do all the leg work and find the right home loan for you.